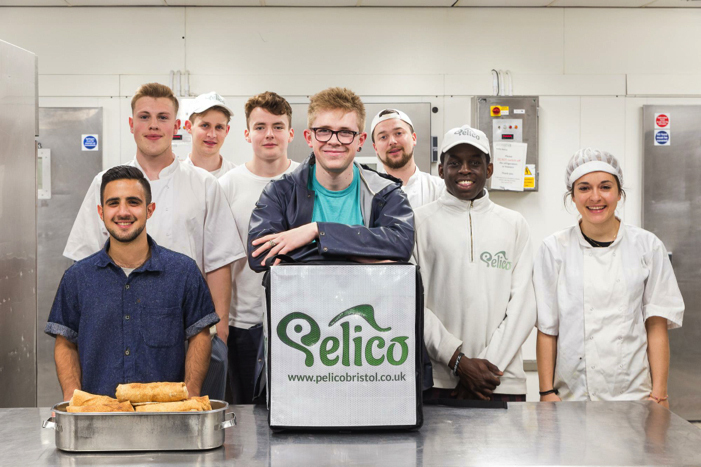 A small team of recently graduated UWE students are on mission to make online food delivery more sustainable than ever before! 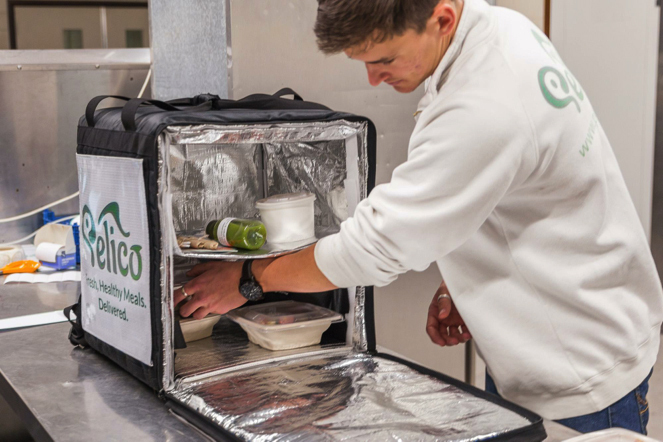 They’ve created a brand new online healthy meals delivery service called Pelico bringing delicious and nutritious, chef-made meals to your desk or door. By only using locally sourced and organic ingredients, minimising the time from farm to fork, reducing food waste as much as possible and, of course, only delivering via bicycles, this team of green hearted entrepreneurs are on a mission to make online food delivery more sustainable than ever before! Key values include: Locally sourced ingredients – organic where possible, minimising the time from farm to fork, reducing food waste as much as possible, and only delivering on bicycles, not only are they providing high-quality, tasty, affordable meals, but have kept CO2 emissions to a minimum. “It seems like we have lost touch with climate change, but we just have to look at the drastic changes in temperature to realise the problem is just getting bigger.” This is why it is important for new companies like Pelico to emerge – who share the values of providing a competitive service, with an underlying awareness of climate change, meaning they work effectively on creating a greener future for Bristol and beyond. With online food delivery, the customer in many cases will sacrifice the environmental aspects of their meal (being organic, sustainable packaging, free-range meat, etc.) in exchange for the ease of ‘the one-click’ order. What Pelico is doing is assuming responsibility of ensuring that they provide the most environmentally friendly service throughout the whole process, as well as providing the convenience of online ordering and delivery in under 30 minutes. Pelico are always looking for the latest environmentally friendly food packaging. Currently their packaging is 100% biodegradable. However, they hope to one day have packaging the consumer can either eat or feed to wildlife after they are done! Local traders Arthur David and Powells of Olveston provide Pelico with the best local ingredients, from dairy and meats to vegetables, ensuring ethical production of meat and helping the local economy flourish. Pelico also sources organic dry goods from Essentials.